I’ve been working on this novel for about 10 years now. The story behind this novel is simple. I discovered I really loved to write and others liked to read my writing back in college in 2005. I had been going to school for Computer Science initially and ended up changing my degree to Business Administration a year into it. Once I was about a junior, I discovered that, hey maybe I should go for an English degree or Journalism instead. Unfortunately, it would have taken me another year to complete a degree if I switched and I just didn’t have the patience or money to change majors. So about a year after graduation, I got the idea to start writing a novel. I had written short stories and poetry mostly before and that. I was reminiscing about some of the crazy times I had in college with one of my friends one day. He suggested that maybe I should write a book. At first I frowned at the idea. I couldn’t picture myself writing a memoir of some sort. I figured I let the idea simmer and think on it. So I started writing in a journal initially and then moved to a notebook. I started writing first about a character who I thought about who went through a series of events and difficult relationships while in college. I then wrote about my antagonist and started an outline from there. I worked 8 hours a day then at another company. I would come home and write before bed. Sometimes if I got up earlier, I would write before I had to be at work at 8 am. Being a part-time writer, I also had my own blog since 2007. I took about 5 years to write the entire manuscript. I have done at least 5 self-edits on this book alone to get it to sound how I wanted it. A lot of people have asked me, “Is this the same book you started writing a long time ago?” to which I explain yes. 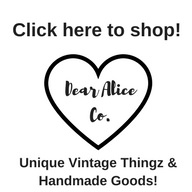 During the last 10 years I have had a ton of life changes that occurred. I got married, suffered 5 miscarriages, had a child and changed jobs 3 different times. The idea of becoming a full fledged writer wasn’t even a thought, when I became a college graduate in 2006. I am glad this friend planted this little seed in my mind, and I ended up using it to write what is my debut novel, “Drama University”. I pray you like it. It’s been in the making a long time! 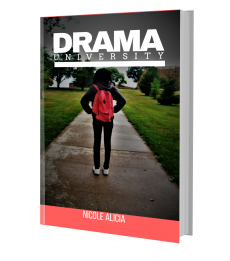 Read Novel Excerpt #1 & Novel Excerpt #2 from “Drama University”! Friday I’ll be revealing the cover for the book. P.S. I love comments, so write something below!